Newton Aycliffe is a town located about 5 miles north of Darlington in County Durham. 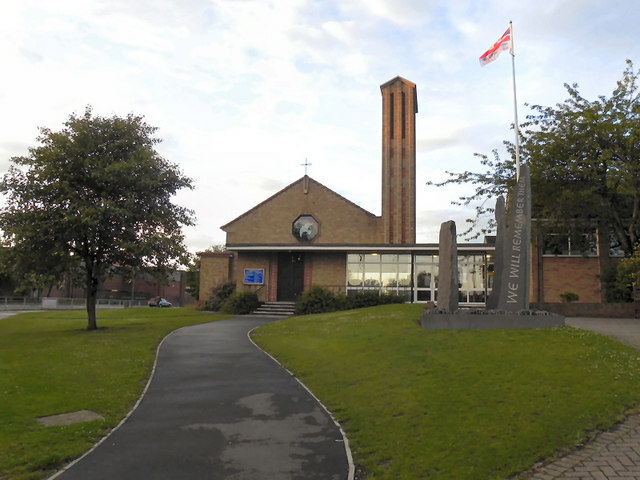 It was established as New Town Aycliffe on 19th April 1947 under the New Towns Act of 1946, though a settlement at the adjacent Aycliffe Village can be traced back to Anglo-Saxon times and the location of the new town had been a major centre for munitions manufacturing during World War 2. 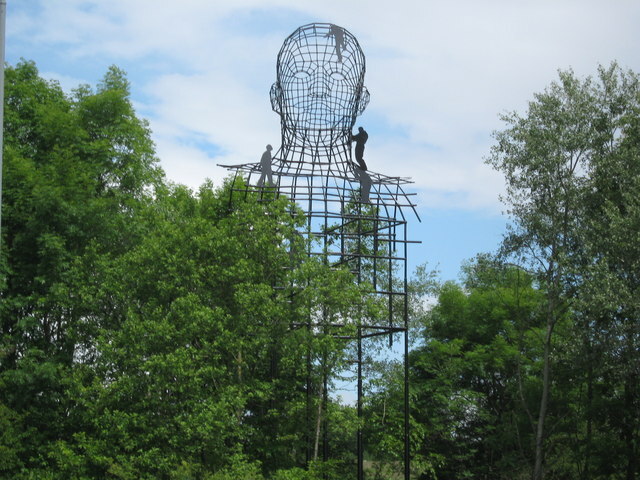 Newton Aycliffe is a town in County Durham, England. Founded in 1947 under the New Towns Act of 1946, the town sits about five miles north of Darlington. 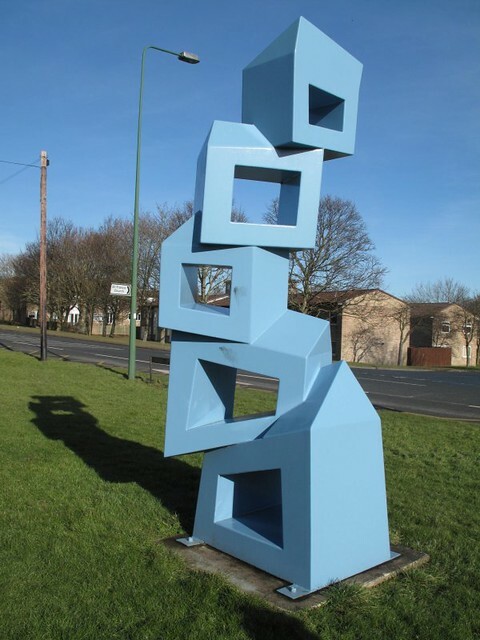 It is the oldest new town in the north of England and forms the civil parish of Great Aycliffe. At the 2001 census, Great Aycliffe had a population of 26,385, although in 2007 Great Aycliffe Town Council reported this had risen to 29,000. It is the largest town within the Sedgefield constituency. Within a radius of are several towns and villages including Darlington, Bishop Auckland, Shildon and Heighington. To the south of the town is the village of Aycliffe. Newton comes from 'New Town'. Aycliffe Village is near to the A1(M) junction with the A167 (former A1). Until 2009, Great Aycliffe was in the borough of Sedgefield, based in Spennymoor. It was the largest town in the borough. Newton Aycliffe has since April 2009 been governed by the Great Aycliffe Town Council and the County Durham Unitary Authority. Prior to the Newtown development, Aycliffe (originally 'Acley') was the site of a Saxon settlement. The name Acley came from the Saxon words: 'Ac', meaning oak, and 'ley', meaning 'a clearing'. 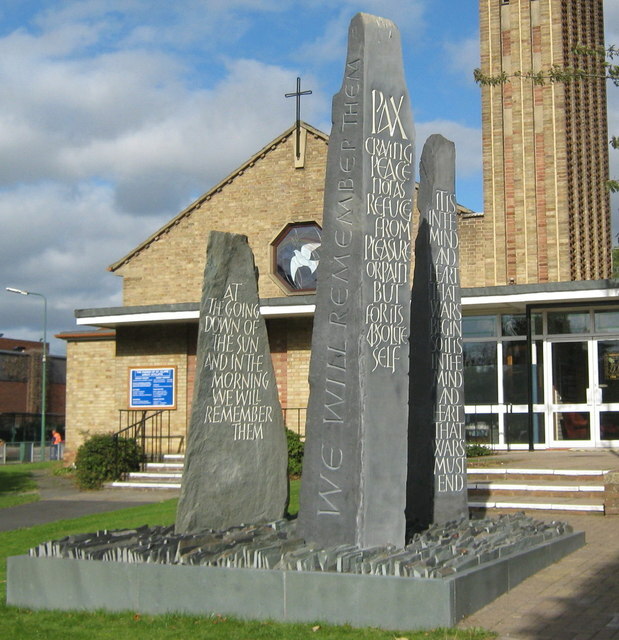 Aycliffe was the location of a church synods in AD 782 and AD 789. Another old name was 'Yacley'. The town's motto is Latin for "Not the Least, but the Greatest we seek". On the edge of the town is the Bishop Auckland to Darlington railway branch line which is part of the 1825 Stockton and Darlington Railway. George Stephenson's steam locomotive Locomotion No 1 was placed on the rails close to Newton Aycliffe near to where Heighington station is. The Great North Road passed (A1) through the town until 1969. In more recent times Aycliffe was a key element in World War II ammunitions manufacturing. The marshy land was ideal cover against the Luftwaffe as it was almost continually shrouded in fog and mist. Huge grass-covered munitions factories were built and serviced by the nearby railway lines. The factories were largely staffed by women (in their thousands); these ladies were dubbed the "Aycliffe Angels", who braved incredible dangers inside the factories. The government asked William Beveridge to produce a report on what he wanted Britain to be like after the war. In 1942 he produced his report. Five giants, he said, oppressed mankind - Poverty, Disease, Homelessness, Ignorance and Unemployment. To end this, once and for all, Beveridge proposed a state system of Social Security benefits, a National Health Service, council housing, free education and full employment. He called it the Welfare State. The Welfare State was brought in all over Britain in 1948, but Beveridge chose one place especially which he wanted to be the shining example of how his new world would work. The moors between Aycliffe and Middridge were perfect - there was a huge ordnance factory that was no longer needed for the war, and there was plenty of poor farmland to build on. It is where Beveridge chose his flagship new town - Newton Aycliffe. This man - the shaper of modern Britain - even came to live here, and had a house at the top of Pease Way. The factories were eventually replaced by manufacturing buildings that became the industrial district of Aycliffe. 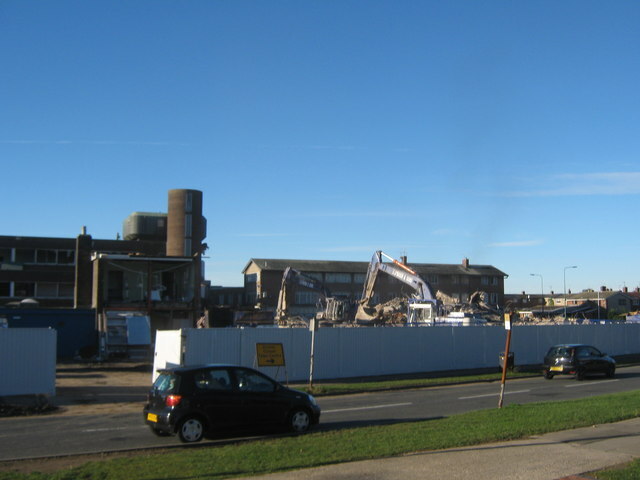 After the war, many companies moved onto the industrial estate, including Great Lakes Chemicals, which retained the munitions factories until 2004 when it was closed and demolished, along with these original factories used by the Aycliffe Angels. Also there were Eaton Axles, and B.I.P., who were to become two of the largest employers of the town until the early 1980s. One other company was Union Carbide. Eaton Axles closed down and shipped itself to Poland, B.I.P. is now Hydro Polymers, Union Carbide was taken over by STC (Standard Telephone and Cables) before being taken over by Sanyo for several years, but this has now closed. Businesses currently located in the town include Flymo, 3M, Ebac and Ineos (who have taken over Hydro Polymers) with many more small factory units. One of the largest factories in the district is Gestamp Tallent (Formerly Thyssenkrupp), which now holds over 6 plants around the industrial estate. In 2015, Hitachi commenced production at their £82 million railway rolling stock factory at Newton Aycliffe, called Hitachi Newton Aycliffe. It employs 720 people. The original Woodham was a medieval village, although apart from a few low mound earthworks (on private land) there is no trace of this original village. It was located on the northern side of the Woodham Burn stream and to the East of the A167 that cuts through the site in a north-south direction. The village itself was said to have been 'burned by the Scots' during the English Scottish wars of the late 13th and early 14th centuries. This appears not to have been rebuilt, although several buildings did appear in the 18th and 19th centuries, some of which still remain on both east and west sides of the A167. There appears to have been a small 18th century stone quarry on the eastern side of this site with associated buildings. This can be seen on the original 1860 Ordnance Survey maps, however most of these buildings were demolished towards the end of the 19th century. After that the hamlet of Woodham remained relatively unchanged until the late 1970s - early 1980s, when some of its farms, such as Woodham North, Woodham South and the original Woodham Farm itself, were all demolished and their land used for new housing developments, as nearby Newton Aycliffe expanded and began to encroach on the original Woodham area. 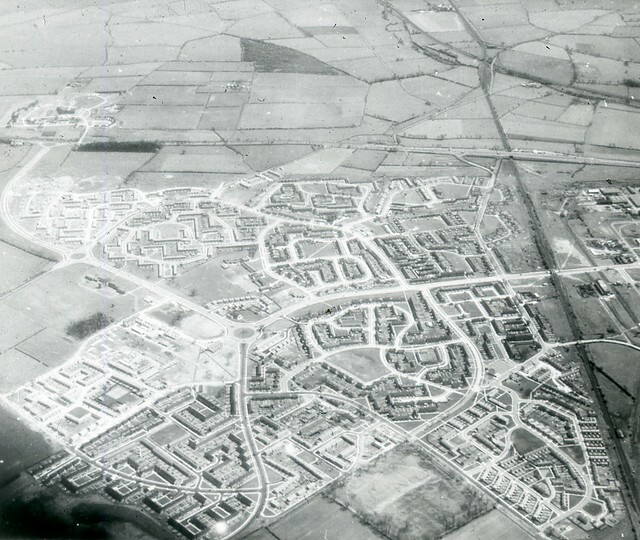 Newton Aycliffe, in common with many of the post war "New Towns" consisted originally of mostly social / public housing, a large proportion of which is now privately owned. Woodham is the largest of a number of private housing developments that have taken place since the late 1970s, to the North of Woodham Burn; which at one time formed a natural northern boundary to the town of Newton Aycliffe. From its start Newton Aycliffe kept expanding in size, until 1980 when the council stopped building council homes. Since then private houses and housing associations have been building the town's homes. 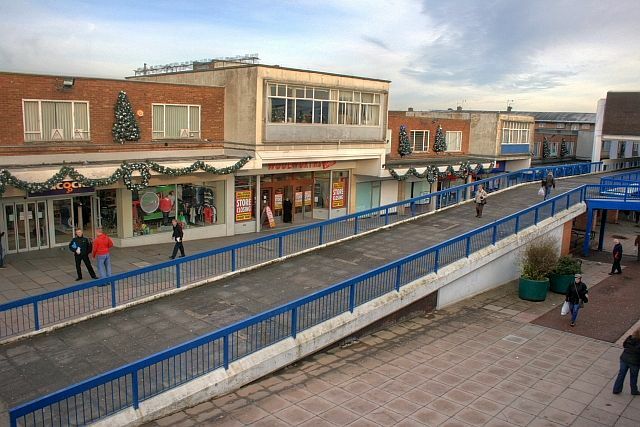 In the early 1980s an area of private housing called Woodham Village was built on the site of what was once Woodham Farm, it was designed and developed around a community centre, church and a parade of shops overlooking a central green. 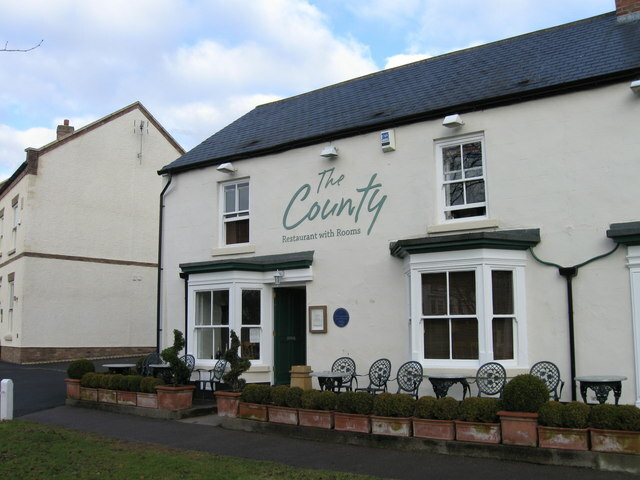 The Huntsman Public house is also situated on the same central green, whilst the Woodham Golf and Country Club lies a short way to the north of the main development, on the road to Rushyford. Woodham Way is the centre of Woodham containing a row of shops including dentists, takeaways and newsagents. 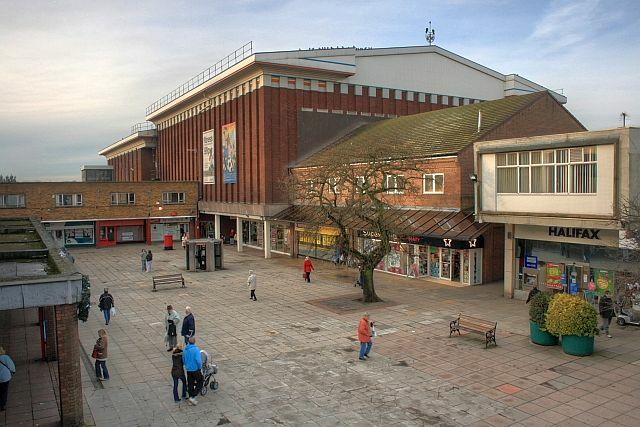 Woodham lies close to the town centre and the local supermarket, both within walking distance. Recently the area has been expanded by more housing developments increasing the size of the village by a notable amount. The town has a large industrial estate to the south of the town, split into three. The Ineos plant (former Hydro Polymers PVC plant) is west of the railway, south of the railway station. There are no "streets" in Newton Aycliffe (no places of residence with the suffix 'street'.). The main road which runs through the centre of the town is 'Central Avenue'. There are many Roads, Closes, Crescents and even a Parade. In the older parts of the town the streets are named after Bishops of Durham and Saints: Van Mildert (road); St. Aidan's (walk); Biscop (Crescent). Some are named after prominent local families such as Shafto (way), Eden (road), and Bowes (Road) for example. Some are even named after the movers and shakers of the New Town Movement such as Lord Lewis Silkin (Silkin Way) and Lord Beveridge (Beveridge Way). The second phase of building saw the end of roads, ways and crescents, instead whole areas were named after trees; Beech Field; Oak Field; Ash Field and Elm Field. The third part of building took place in three phases, Agnew 1, 2, and 3. These were named after the architect. The A167 (old A1) is the main road to the town, it runs to Durham and Newcastle upon Tyne (30 miles) in the north and Darlington (8 miles) and Northallerton in the south. The A1(M) is near to the town and runs to Edinburgh in the north and London to the south, it provides as an alternative route to Durham and Newcastle in the north. The A689 is also near the town and it runs to Bishop Auckland in the west and Hartlepool and Teesside in the east. By bus, the town has bus services provided by Arriva North East to Bishop Auckland, Durham, Darlington, Spennymoor, Ferryhill, Peterlee and Sedgefield. Town services are provided by JSB Travel. 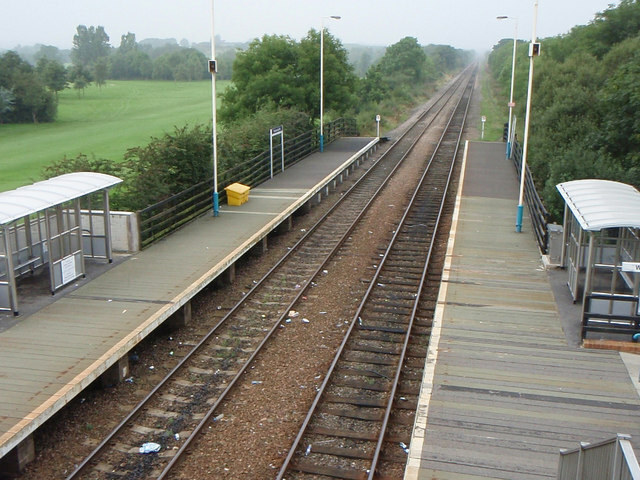 The Newton Aycliffe railway station, which is on the Tees Valley Line, has train services provided by Northern to Bishop Auckland and Saltburn. There are connections to East Coast services to Edinburgh and London at Darlington, connections to Grand Central services to Northallerton, York and London at Eaglescliffe, and connections to Northern Rail services to Hartlepool, Sunderland and Newcastle at Thornaby. Aycliffe Sub Aqua Club has been running since around 1985 and was set up to open the sport of SCUBA diving to as many local people as possible. The Club is affiliated to the Sub-Aqua Association and trains newcomers to the sport from Try A Dive sessions through to Instructor Status. The Club also runs its own boat and trains members to operate it. Durham Wildcats is a basketball team based in Newton Aycliffe, County Durham. They are currently members of the British Basketball League, the top-level competition in the United Kingdom, and play their home games at Newton Aycliffe Leisure Centre. Established in 2005, the club has enjoyed a rapid rise through the English Basketball League system with three successive promotions in three seasons between 2009 and 2011, from Division 3 (North) to the British Basketball League. A speedway track was built in 1952, which was used for training purposes. There is some evidence that the site was used as a greyhound track in the late 1940s. In 1954 the speedway training track was used for the first time to host stock car racing. Stock car racing took place at Aycliffe Stadium from 1954 through to 19 November 1989. By the 1970s stock cars had evolved into purpose-built single-seater "specials" of enormous power and careful construction, and the racing attracted fans and competitors from all over England. Some of the sport's most successful builders and racers, including World Champions Stuart Smith and his sons Stuart Jnr and Andy, Willie Harrison, Doug Cronshaw, and Frankie Wainman Junior were from the North of England. The stadium closed to make way for factory units on the expanding Industrial Estate. Northern League Division one football team recently promoted and play their home games at Moore Lane Park. Newton Aycliffe's local rugby club is based in the sports club at Moore Lane, and prides itself on being a family friendly club. As of 2014 the club fields two sides, a first XV and a social team referred to as "The Newtonians". The first XV currently play in the Durham & Northumberland 3rd division. Newton Aycliffe has three golf courses, a public course - Oakleaf Golf Complex and two private courses - Woodham Golf and Country Club. and Ineos Golf Club. There is one nearby Accident and Emergency department in the area - Darlington Memorial Hospital. The hospital is well equipped to dealing with chest pain, shortness of breath, headaches, convulsions, diabetes and general ill health and will liaise with the regional psychiatric teams in the event of mental health cases or for referral to the West Park Mental Health Hospital. Mental Health teams operate from the Pioneering Care Centre also in the case of Child and Adolescent Mental to the new centre in Burn Lane. Darlington is well equipped for injuries such as broken bones, severe abdominal pain which may require surgery, eye conditions and maternity and baby cases. For cancer treatments a visit many miles away to the James Cook University Hospital in Middlesbrough is required. The trust which runs this hospital was rated as 'good' for its overall quality and use of services by the HealthCare Commission Standards. 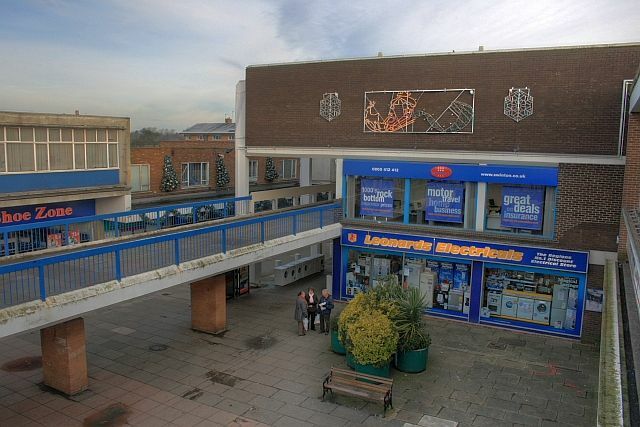 During the 1970s/1980s Aycliffe was twinned with the town of Perstorp. This twinning operation was made possible by the partnership between the two Mayors. Scott Mann, director of The Tournament and Heist is from Newton Aycliffe. Mark Gatiss, actor, comedian, screenwriter and novelist including writing for and acting in TV series Doctor Who and Sherlock, the latter of which he also co-created. A member of the comedy team The League of Gentlemen, He attended Heighington CE Primary School and Woodham Comprehensive School in Newton Aycliffe. Paul Magrs Writer of Doctor Who. Also attended Heighington CE Primary School and Woodham Comprehensive School in Newton Aycliffe. James (Jim) Moir better known by the stage name Vic Reeves, comedian, artist, actor and television presenter. Undertook a five-year engineering apprenticeship at a factory in Newton Aycliffe with the aim of working in their technical drawings department. Text from Wikipedia, available under the Creative Commons Attribution-ShareAlike License (accessed: 22/11/2016). 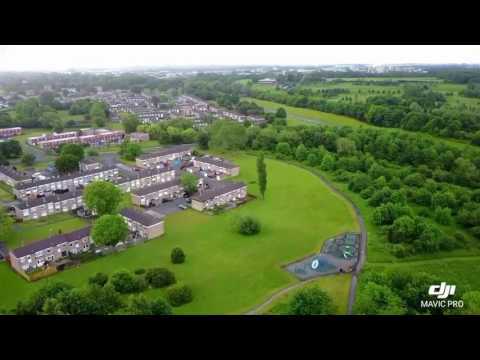 Visit the page: Newton Aycliffe for references and further details. You can contribute to this article on Wikipedia.